Jason Naderi told the four-year-old whose eyes he was examining that he could win the game they were playing if he maintained eye contact with a flower projected inside the examination machine. Naderi told the boy if he focused hard enough, the machine would make cricket noises that meant he was winning. In fact, it was measuring his eye prescription. “A four-year-old getting a huge machine stuck in front of his eye isn’t going to excite him, so I made it a game,” said Naderi, a fourth-year biology student who has volunteered for the past four years with the UCLA Mobile Eye Clinic. After examining the boy’s vision, he discovered he had a lazy eye. “Spotting this at a young age is really important, because we were able to get the child the lenses and treatment he needed to correct the lazy eye,” Naderi said. With UMEC, Naderi travels to preschools across Los Angeles to provide children with free vision screenings. He said his work has made him very aware of the socioeconomic disparities that block access to healthcare in many parts of the city. Naderi also volunteers with the Vision In-School program through the Jules Stein Eye Institute, giving presentations about eye health to fifth-grade classrooms in Los Angeles. In his presentations, he discusses eye anatomy, how to keep eyes healthy, and even dissects a cow eye in front of the students. 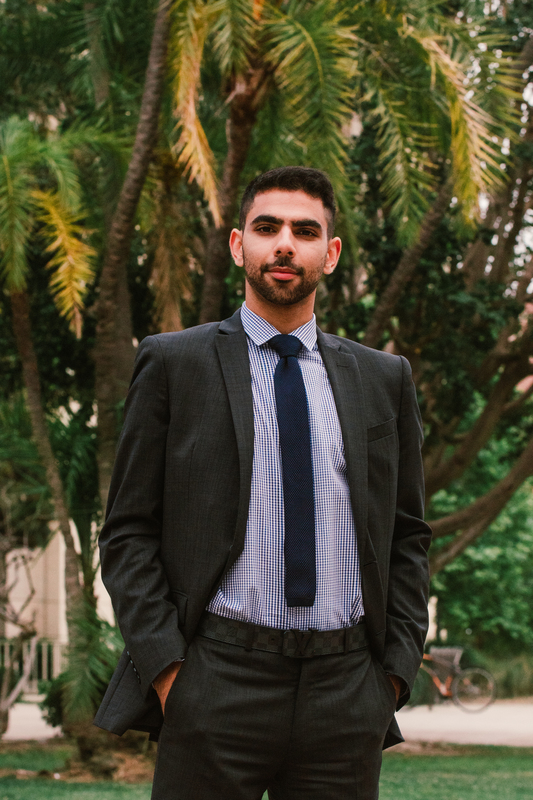 Two years ago, Naderi asked the program’s coordinator if he could give a presentation at his old elementary school, Sherman Oaks School for Enriched Studies. After Naderi finished his presentation, a little girl hugged him and said she wanted to be a doctor like him when she grew up. She also asked if he was Persian, like her. “I said yes, and she said “I can’t wait to tell my mom!”,” he said. Naderi’s parents immigrated from Iran to Westwood in 1982, just across the street from the UCLA campus. 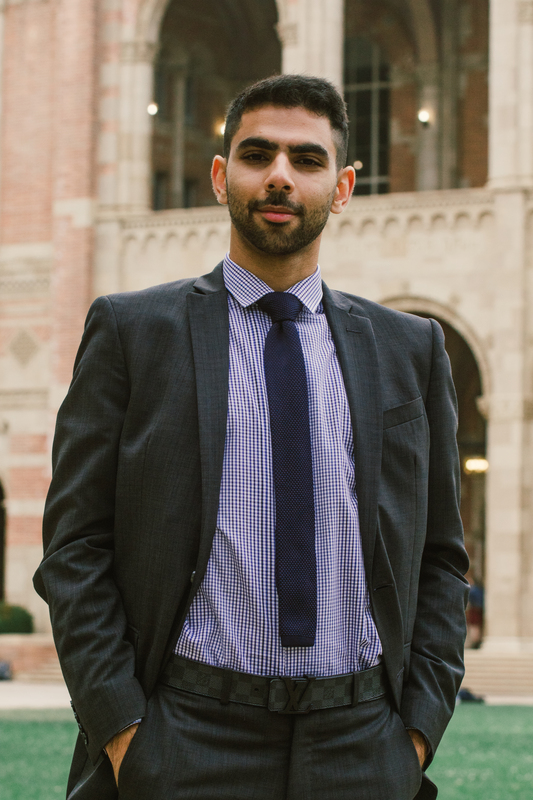 He said he was raised to be proud of his culture, but embraced his heritage more at UCLA by joining the Farhang Foundation, an organization that promotes Iranian art and culture, and meeting others with the same background and family values. Naderi said UCLA also helped him understand the importance of standing out in a crowd. When he started taking classes in the biology department, he said he was intimidated by large lecture sizes. He began to go to office hours regularly so his professors would not see him as just another face in a 300-student class. Naderi said Tae Kwon Do has taught him how to apply dedication, discipline and respect to his studies. He has practiced the martial art since age nine and holds a fourth-degree black belt. Now, he runs his own weekly youth class for Meeting Every Need with Dignity, a non-profit organization that serves low-income communities in the San Fernando Valley. He said he teaches his young students respect for others through Tae Kwon Do. Recently, some students in his class laughed at another student who was unable to do a pushup, and Naderi spent the rest of the class explaining the importance of respecting others.